After a tip off from this weeks Guardian Guide i popped down to the Alternative Press Fair to see the scene of self publishing had to offer . Upon arrival it was clear that it was very busy which made browsing through the stalls of comics, zines, prints and self published art books difficult at times. However i managed to get a few small bits and pieces which i was pleased with. 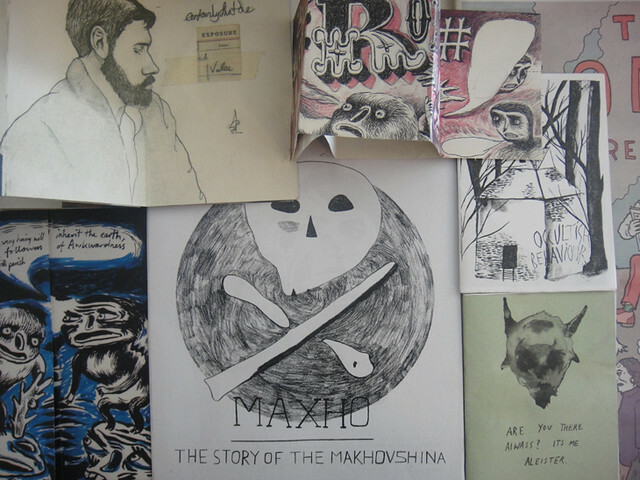 I really enjoyed 'the story of the Makhovshina' by Peter Willis as well as the illustration zines by Rob Jones and Phillip Hawkey of Wolfwind, and all for a collective total of five quid, bargain.